Located in Saint-Denis town centre, the restaurant Le Jaipur serves Indian cuisine. 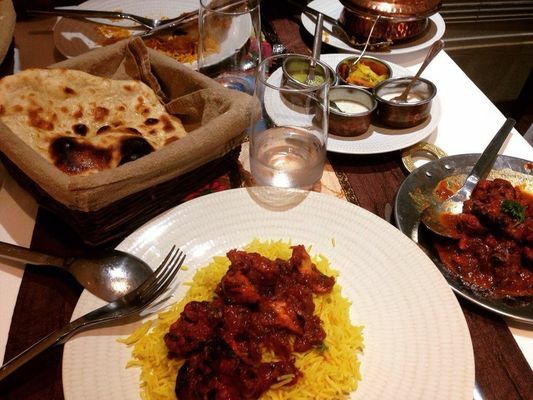 In a warm and colourful setting, guests will discover delicious Indian dishes. Specialities : brianis (chicken, shrimps,...), chicken tandoori, nan bread (nature, cheese, garlic) to eat with a "lassi". Vegetarian and vegan meals (without pork, beef, alcohol) are also offered. Environment / Access : From Saint-Denis sea front, head for the city centre by driving up the Avenue de la Victoire. Carry straight on in rue de Paris and pass the war memorial. Turn into the first street on your left at the chamber of commerce and industry (CCIR). Go down towards rue Pasteur until you reach the crossroads near the bank. The Jaïpur is situated a few meters on your right.